Just how bad is it at McDonald's? First-quarter profits tumbled by nearly $400 million, or roughly a third. That's a steeper pace of profit declines than all of last year. No wonder McDonald's changed its CEO in late January. As if the burger chain didn't have enough to deal with, it's getting hit by the strong U.S. dollar. All those foreign restaurants aren't helping the bottom line since the company is taking a hit on currency exchange. The good news for McDonald's is that investor expectations are low at this point. The stock is actually jumping over 2% Wednesday as investors are hopeful that new CEO Steve Easterbrook gets it and will bring a strong plan. They are also happy that total sales didn't fall by more than feared. Keep in mind the stock is roughly flat in the past year, compared with a 12% gain for the S&P 500 and a 27% surge for Chipotle. So far, Easterbrook is working to improve McDonald's tarnished brand by focusing on customer service and food quality. The company recently announced a pay hike for restaurant workers and plans to cut back on chicken raised on antibiotics. 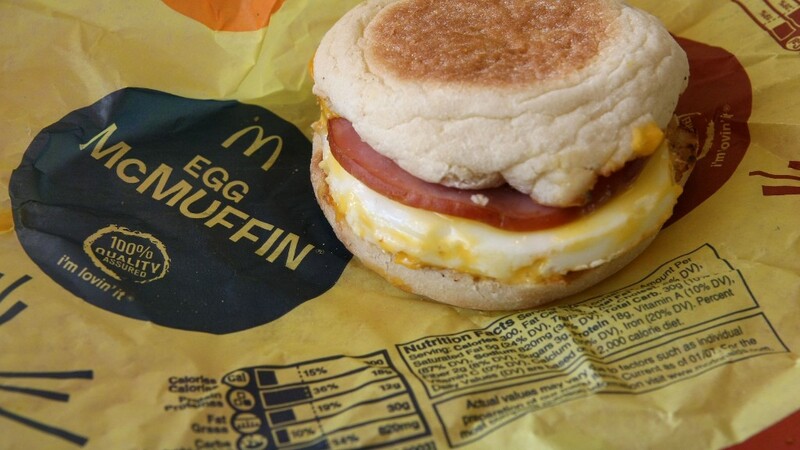 McDonald's is now testing all-day sales of breakfast items, selling sirloin burgers and perhaps even kale eventually, at least according to one analyst. It's also cutting back on restaurants that aren't adding to the company's profits. The 350 store closures announced on Wednesday are in addition to the 350 the company had already planned on shuttering this year. But don't expect the negative trends to change just yet. McDonald's warned that its global sales are likely to fall in April as well.